Ayo RT Promo Kompas tadi, SIS. Mom akan pilih 4 orang beruntung* yang akan mendapatkan voucher belanja Rp 50.000! Let's just say @ReneeYoungWWE is my sis from another Miss! 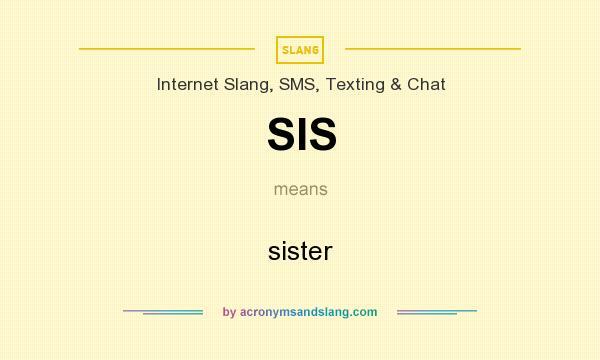 The meaning of SIS abbreviation is "sister"
SIS as abbreviation means "sister"